A day after a contentious debate with Hillary Clinton in Brooklyn, Bernie Sanders released his 2014 tax returns, and they show that, as expected, he doesn't make very much money other than his Senate salary. In 2014, Sanders had a gross income of $205,271. That's certainly nothing to sneeze at, but given that U.S. Senators make $174,000 a year anyway, it means he's really not pulling in that much extra money other than what he makes at his day job. Most of the rest of his income came from Social Security benefits. At the Brooklyn debate, Sanders and Clinton got into a back-and-forth over the paid speeches Clinton has given to Goldman Sachs. Sanders called on Clinton to release the transcripts of the speeches, and Clinton suggested that she would, but only if Sanders released his tax returns. In response, Sanders agreed to release his 2014 tax forms tomorrow (that is, today), although he cautioned that they were "boring." He's now made good on that promise. According to CNN, an income of $205,000 would put Sanders in the top 6 percent of U.S. earners. That might sound damning, given Sanders' constant fulminations against the 1 percent — but every U.S. senator, simply by virtue of their salary, is already in the top 8 percent. A better metric to use might be net worth, because that tracks a person's accumulation of wealth over time. On that front, Sanders is certainly one of the poorest U.S. Senators: According to a rough estimate based on his financial disclosure forms, Sanders probably has a net worth of around $528,014,* which would make him less wealthy than all but 13 of his 99 colleagues. All in all, Sanders' tax returns are pretty boring. The real import here is that there's now a lot more pressure on Clinton to release her Goldman Sachs transcripts. Clinton has said explicitly that she will release them eventually, but only if the Republican candidates agree to release transcripts of their paid speeches as well. That said, New York Senator and Clinton ally Kirsten Gillibrand said Friday that she thinks Hillary will release the transcripts eventually. 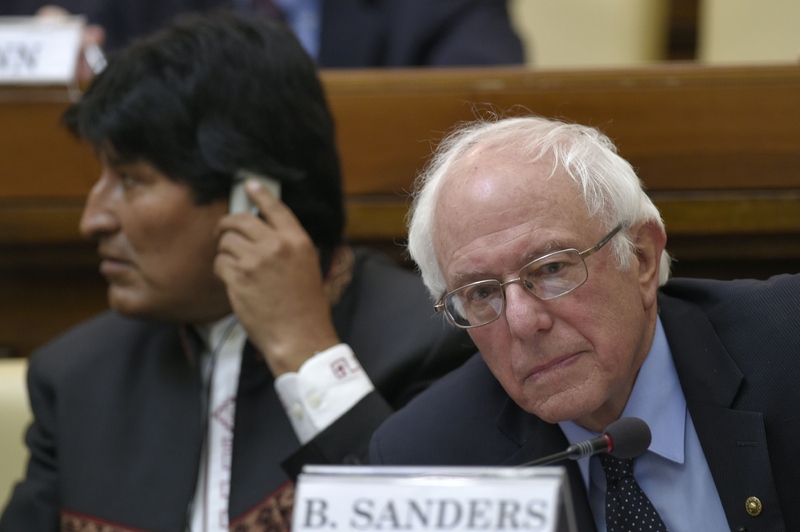 Sanders' returns, which he filed jointly with his wife, Jane, also showed that the two donated $8,350 to charity in 2014 and received a refund of $4,172. He was right: These are pretty boring tax returns. *It's impossible to give an exact number, because senators aren't required to give provide detailed information on their assets. The $528,014 number is an average of the lower and upper estimates of Sanders' net worth.